Ted Mooney was born in Dallas, Texas; grew up in Washington, D.C.; and in 1973 moved to New York, where he has resided since. Throughout his adult life he has pursued two parallel careers--in the literary and art worlds. 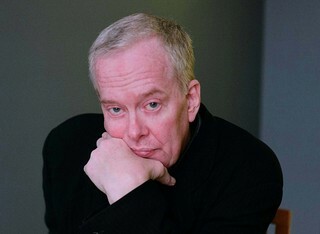 His first novel, "Easy Travel to Other Planets" (1981), which won the Sue Kauffman Award for First Fiction from the the American Academy of Arts and Letters and was also a Finalist for the National Book Awards, was written while he was also employed full time as Senior Editor at "Art in America" magazine, a position he held from 1977-2008. He continued this dual arrangement throughout the writing of his next three novels: "Traffic and Laughter" (1990), "Singing into the Piano (1998), and "The Same River Twice" (2010). Also during this period he was a frequent contributor to such publications as "Esquire," "Granta," "The Los Angeles Times," "Vogue," "Art in America," "Artforum," and others. Currently he teaches a graduate seminar at Yale University School of Art, while working on his next novel, titled "Shadow and Silhouette."